In the centre of Verona you can taste real, classic Italian gelato; handcrafted, with lots of fruit, little sugar, high-quality ingredients and a passion for traditional flavours. There is also authentic creamy and refreshing Sicilian granita, which is stored at -18°C in classic cylindrical carapina buckets. 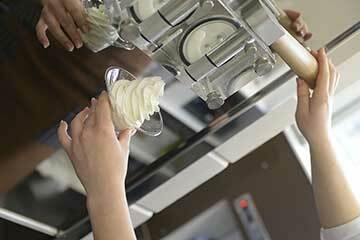 Finally, you can enjoy our frozen yogurt, which is made fresh daily. You can choose between a classic flavour and a novel Greek yogurt with stevia.